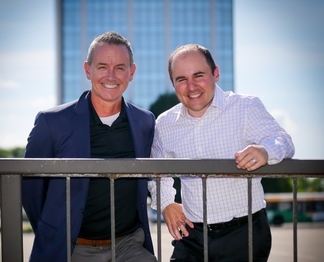 Law Firm Owners & partner attorneys Mike Georg & Chad Schomburg want you to know that it IS possible to keep Your House, Car, Retirement & other property & still get out from the mountain of debt you’re facing. Most likely, you’ve landed on this site because something unexpected happened that has sent your finances spiraling out of control, or . . . maybe you’ve made some financial decisions you regret. Either way, in order to move forward you need to know that financial problems do not make you a bad person. You should not feel embarrassed or ashamed that you need help. Everyone makes mistakes and unexpected things happen. Really. The GOOD NEWS is that you don’t have to wallow in your difficult situation or suffer from it forever. You can do something about it. In fact, as bankruptcy attorneys we have helped thousands of Wisconsin residents in your particular predicament get a fresh financial start and we’re confident we can help you too. Our free initial consultation is great for gathering information and obtaining guidance about what to do next. It’s an opportunity to sit down with an attorney who understands consumer protection laws, the elimination of debt, and bankruptcy. Debt Advisors has been voted “best bankruptcy law firm” since 2012. We pride ourselves in helping people just like you get out of debt. During your consultation, we’ll review your unique financial situation and help determine what your best options are. Simply complete the form and we’ll contact you to schedule an appointment in one of our 7 convenient Wisconsin locations, or give us a call and get the process started today. We are a Madison and Milwaukee area bankruptcy law firm. Our expertise is to file Wisconsin consumer bankruptcy. What makes us unlike other law firms is that our bankruptcy lawyers can relate to your situation. We know what it is like to struggle financially. Our shared passion for helping those who are in financial distress runs deep. It may sound hokey but we truly do care and hate to see good folks suffering under a mountain of debt. Bankruptcy laws can work in your favor-IF and only IF you understand the Laws. And when we say expert, we don’t mean some “run of the mill” lawyer who dabbles in bankruptcy. To ensure you get the fresh financial start you need and deserve, you need someone who is a local bankruptcy advisor; someone who’s only focus is bankruptcy, and more importantly Consumer Bankruptcy! High Case Volume and Personal Service. Some lawyers will try to convince you that it’s your advantage to hire them because they only take a few bankruptcy cases per year and this will allow them to give you more attention. It’s not true. You want a firm who specializes in consumer bankruptcy and handles at least several hundred cases per year. In this area of law, bigger is almost better, some firms because too large. Their clients become a number and you may get shuffled form attorney to attorney. If you walk into a bankruptcy attention’s office and waiting room is packed, standing room only….turn around, quickly. We have struck the right balance. Chad and I have helped thousands of people with their consumer bankruptcy cases. So we know the in’s and out’s of the Wisconsin consumer bankruptcy system. At the same time we’ve purposely kept our firm form getting too large which allows us to be personally involved with your case. We pride ourselves on delivering the highest levels of representation with a very personal touch. High “Discharge” Success Rate: if an attorney is not getting the majority of their clients the favorable outcome they seek. It can be a sign that the attorney is not zealously representing their clients against their creditors (We’ve got a chapter 7 discharge success rate of 99% with the over 5,000 case we’ve served). Bankruptcy is what we do best! Offer a HIGH Quality Free Consultation. Other bankruptcy lawyers will offer free consultations, but very few are willing to really get into the meat of your situation until you’ve paid them. You want an attorney who is willing to take the time “on their dime” to understand your situation before recommending a course of action for you. (We offer all our prospective clients a free consultation. And our team will work with you before head to make sure you are fully prepared to get as much as possible out the consultation). Overwhelming debt? Harassing Creditors? Fear of losing your home or car? We want to invite you to come into our office for a free consultation. Oh, and don’t worry, we won’t judge you in anyway. Whatever difficulties you are having we’ve almost certainly seen it before and helped someone in a situation just like yours get relief. At your free consultation, you can be yourself and we will listen with an understanding ear and provide you with an honest opinion about your best options. If you spend one hour of your time with us, we are confident you will come away feeling that you’ve made a great investment in your financial future. To get started simply fill out the form in the top right corner of this page or give us a call (our number is at the top of this page). We’ll begin with a short no pressure phone call where you can learn a bit more about our FREE consultation and see if it’s the right thing for you. PS. Are you concerned you can’t afford this? Please don’t worry about that. If after the free consultation it looks like we can help you, we’ll find a way to make the money work. You can start the process for as little as $100 and payment plans are available. We’ve never turned away a client because of money. We’ll find a way together. Don’t hesitate to contact us. Do it today. Do it right now. Your future is waiting and you’ve got nothing to lose except the 800lb. financial gorilla that is on your back.